If you're interested in new Chicago coffee shops, consider dropping into one of these five new spots. Here are the newest places to check out the next time you're in search of a fresh brew. Earlier this month, HalfWit Coffee Roasters debuted in Logan Square. The new spot comes from Travis Schaffner, who is also the owner of '80s-themed coffee shop Wormhole in Wicker Park. Similarly, HalfWit has its own theme: "the Cold War-era space race between the Americans and Soviets," Eater reports. Along with serving coffee and pastries, Halfwit also serves as a coffee roasting facility and training lab for the baristas behind Halfwit and Wormhole. Yelp users are still warming up to HalfWit Coffee Roasters, which currently holds three stars on the site. 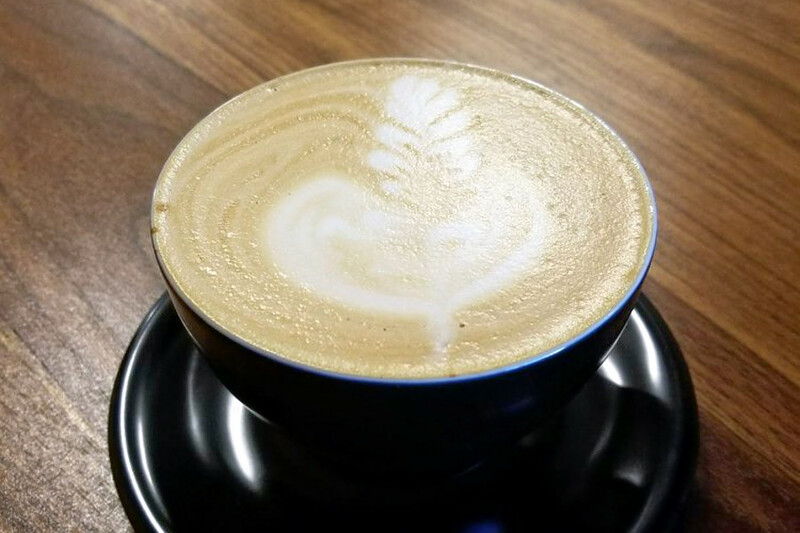 Yelper Sarah S., who was one of the first users to visit HalfWit Coffee Roasters on January 5th, wrote: "I had the honey latte and lovvvved it! It was all sorts of delicious. It's very sweet, so it's one of those drinks you can just have one of, but if it's any indication of their other offerings, I'm on board." Duy N. noted: "Nice new place. Fine service. Good Wifi. Espresso was good. Americano was good. Croissant was buttery." HalfWit Coffee Roasters is open daily from 8am-4pm. 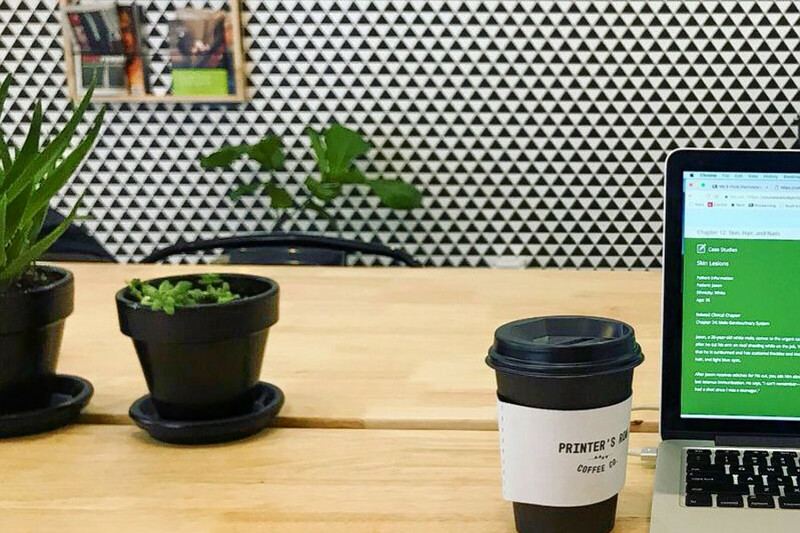 Over in Sheffield & DePaul, roastery and coffee shop Printer's Row Coffee recently opened its doors. The "specialty micro-roasters" comes from two Ohio natives who first started as home roasters, then decided to open their own small roastery. Taking its name from the Chicago neighborhood, Printer's Row Coffee Company offers single-origin beans from Brazil, Sumatra, and Papua New Guinea. The cafe also serves up coffee mainstays and pastries. Printer's Row Coffee's current Yelp rating of five stars indicates positive attention from users. 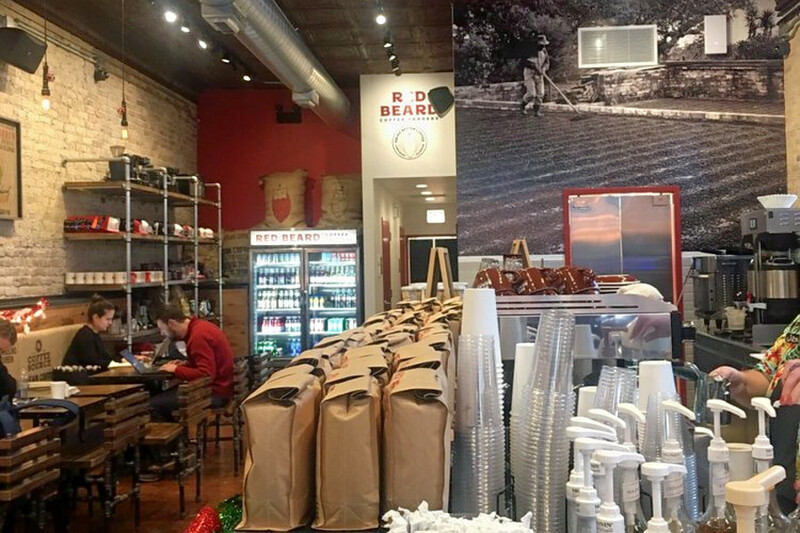 Yelper Katie H., who was one of the first users to visit Printer's Row Coffee on January 14th, wrote: "The staff are super kind, friendly, and knowledgeable. I love the simple decor, plants, and string lights in the window as it makes for a very relaxing environment." Printer's Row Coffee is open daily from 7am-7pm. Last month, Caffe Umbria expanded to Logan Square. The roastery also has another location in River North. The new spot marks a significant move in Chicago for the Seattle-based roastery, as the expansive new space includes a roastery, coffee training lab and a cafe, Eater reports. Along with specialty drinks and pastries, Caffe Umbria serves coffee mainstays like latte, cortado and cappuccino. Coffee beans are also available in bulk for those who prefer to take their coffee beans home. With a four-star Yelp rating, Caffe Umbria has been getting positive attention. 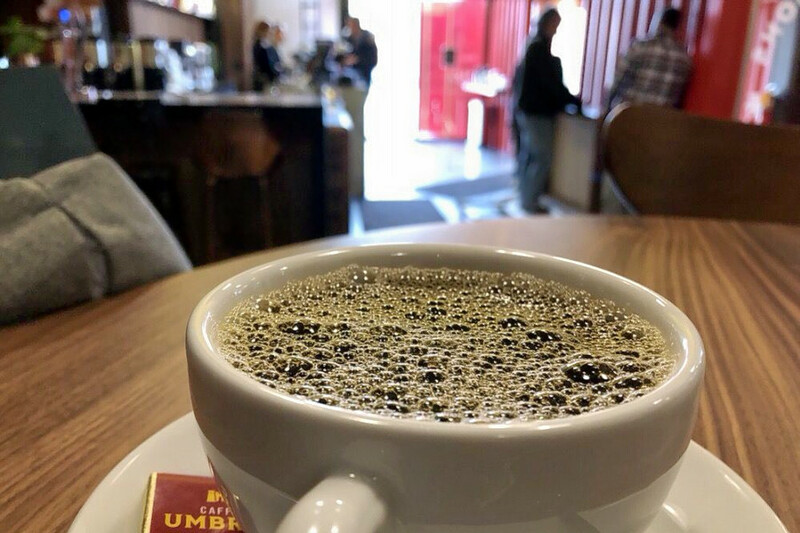 Yelper Chris R., who was one of the first users to visit Caffe Umbria on December 15th, wrote: "Coffee roasters also includes a full service coffee counter and a limited seating area for guests who want to sit and stay. The industrial shipping container feel is cool." Jeannie L. said, "Solid. Strong coffee, nice baristas, and love how you feel like you're among true artists roasting beans. I like this place a lot." Caffe Umbria is open weekdays from 6:30am-6pm, and weekends from 7:30am-5pm. While residents of Chicagoland have been able to find Stumptown coffee around town for years, the Portland-based roastery recently debuted its first brick-and-mortar spot inside the Ace Hotel. It also marks the company's first cafe in the Midwest. At the new Stumptown Coffee, customers can expect a full espresso bar with drinks like mochas and lattes. Drip coffee, pour overs, and nitro cold brews are also available. With a 4.5-star Yelp rating, Stumptown Coffee Roasters has been getting positive attention. Yelper Emily H., who recently visited Stumptown Coffee Roasters, wrote: "Very bright space with limited seating inside the coffee shop, but they are connected to the Ace Hotel lobby. There are plenty of seats for people to hang out and enjoy the good coffee." And Michael C. said: "Finally! I love Stumptown in Portland/Seattle and was getting pretty tired of the surrogate roasters that offered it. I want the real deal. I'm glad that I stopped by on a super cold evening." Stumptown Coffee Roasters is open daily from 6:30am-7pm. Red Beard Coffee Traders is a coffee roastery with a focus on the "farm-to-cup" experience. According to its website, Red Beard works "directly with farmers from all over the world to deliver the highest quality specialty coffee." 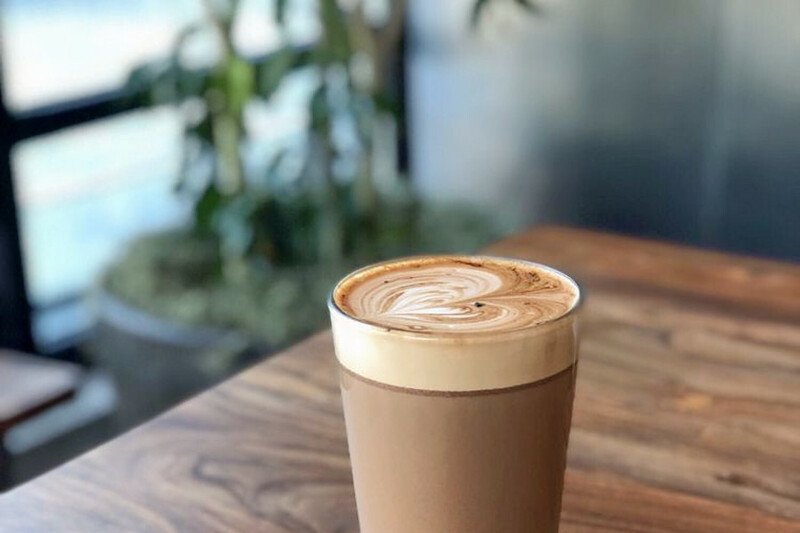 The new spot comes courtesy of Marcus Lemonis, host of The Profit, who partnered with Steve Sims of Southern California's Bodhi Leaf Coffee Traders to bring Red Beard to life. 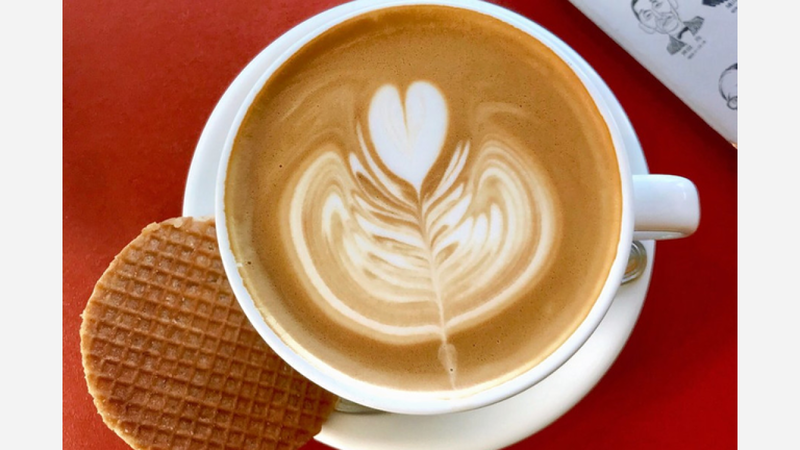 In addition to carrying roasted and green (unroasted) beans, the cafe has two coffee bars serving up drinks like vanilla and lavender latte, cappuccino, and macchiato. Single origin coffees and cold brews are also available. Red Beard Coffee Traders currently holds four stars on Yelp, indicating good reviews. Yelper Wesley R., who was one of the first users to visit Red Beard Coffee Traders on November 15th, said, "Fantastic new space for coffee in the neighborhood. Not only is the coffee tasty, but you have options for other drinks as well, such as teas, frappes and smoothies. Plus desserts and pastries too!" And Sara S. wrote: "I ordered a vanilla latte with non-dairy milk. The non-dairy options were pretty standard: almond, soy, and coconut. They have oat milk, but it seemed like a limited-time special. It tasted great!" Red Beard Coffee Traders is open daily from 6am-9pm.